People take in information using their five senses, but they don’t use all of them equally. Eyes alone account for 82% of our perceptions. There is a reason why it is said “we believe what we see”. Perhaps that is why we focus so much on first impressions! From what we wear to the gestures we make, others take note of all of that. Therefore, maintaining a positive body language should be practiced on a daily basis. But when it comes to acing job interviews, its importance increases manifold. Don’t drag your feet. Walk properly with your head held high. Show that you are confident. Don’t be slack. A casual one will make you across as weak. A tad too strong, and one might perceive you as an over-confident candidate. So practice that perfect handshake. Practice with your family or friends, if you must. Remember: it’s important. It’s not that they won’t permit you. It’s just basic courtesy. You must look into the eyes of your interviewers, especially while talking. If you are uncomfortable, look at their noses till you feel alright. 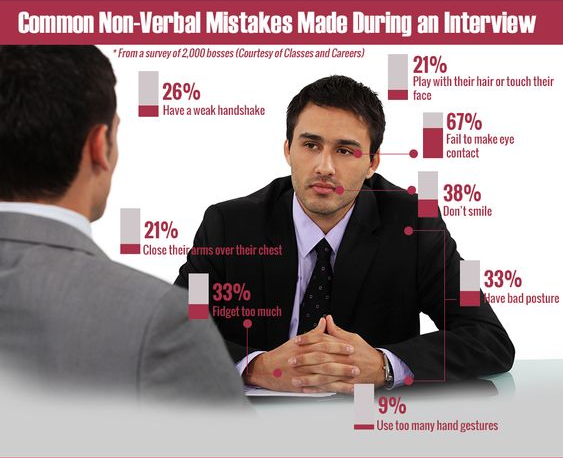 Making an eye contact is necessary but staring at your interviewer is a no-no! Don’t stare at anyone please. That’s just rude and unprofessional. Avoid sitting in a very stiff position. Keep your legs straight and as still as possible. Don’t slouch. You’re not here to have a casual talk! Interviewers seldom employ miserable-looking people. It’s okay to feel nervous but a smile can go a long way. It makes you more relaxed, comfortable and likeable. You might consider yourself cool and your urban lingo might be “lit” but keep it outside the interview room, please. 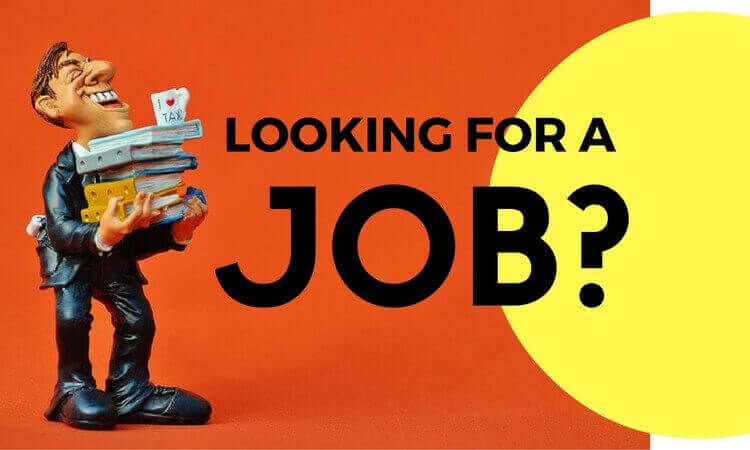 Your interviewers are looking for a responsible candidate to not just contribute to but also represent their company in the long run. Don’t speak like a teenage lingo sensation! A big letdown for interviewers is when the candidate reads off the resume. Don’t do that. Try to look for anecdotes from your experience. If you have the right skill set and perfect frame of mind, you will not falter while speaking. Practice speaking in front of the mirror before the interview. The table in the interview room is not your domain. It is the interviewers’ area. Do not breach that. It’s considered rude. Keep your hands in your lap. 70% of employers don’t want their candidates to be overly fashionable. Dress simply. Wear safe colours such as navy blue or black. Be aware of the messages you send. 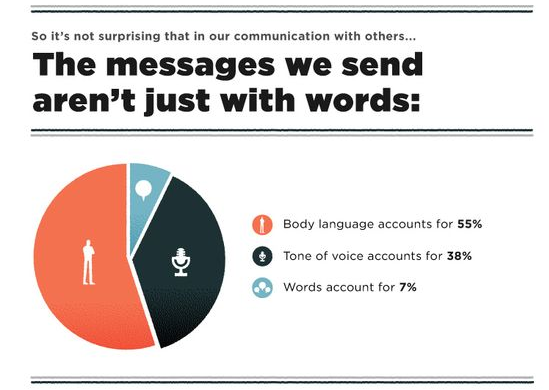 Remember: it’s not just your words that express, your body language also speaks volumes. Good luck!